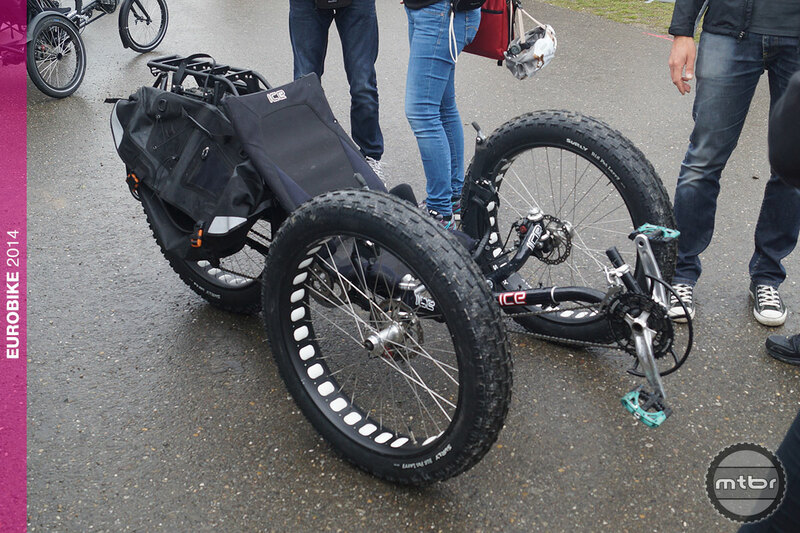 When two fat tires aren’t enough, add a third and make it a recumbent while you’re at it. Actually we were disappointed it wasn’t electric and a fixie. 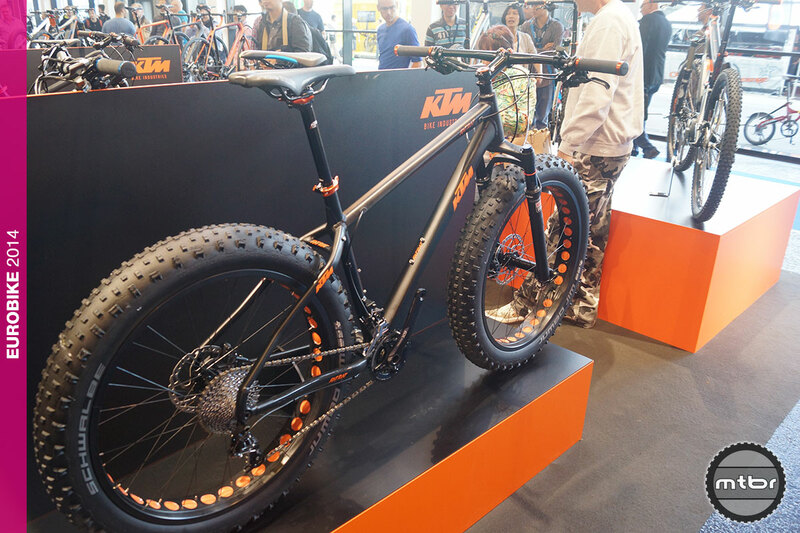 Austian moto brand KTM brought a boatload of black and orange bikes to Eurobike, including the Fat Rat pictured here. We just have one question—What would Ken Roczen think? 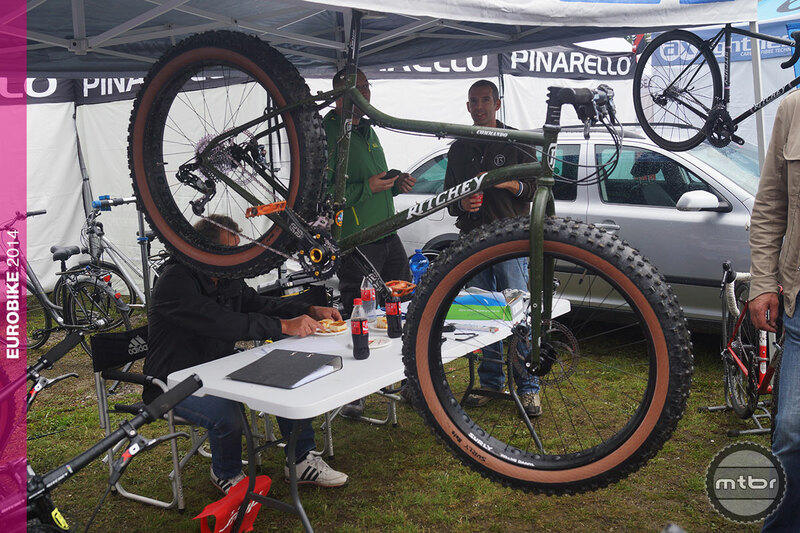 We got a sneak peek at the Commando a couple of months ago at Ritchey’s San Carlos, Calif. HQ before they had enough parts to put it together. 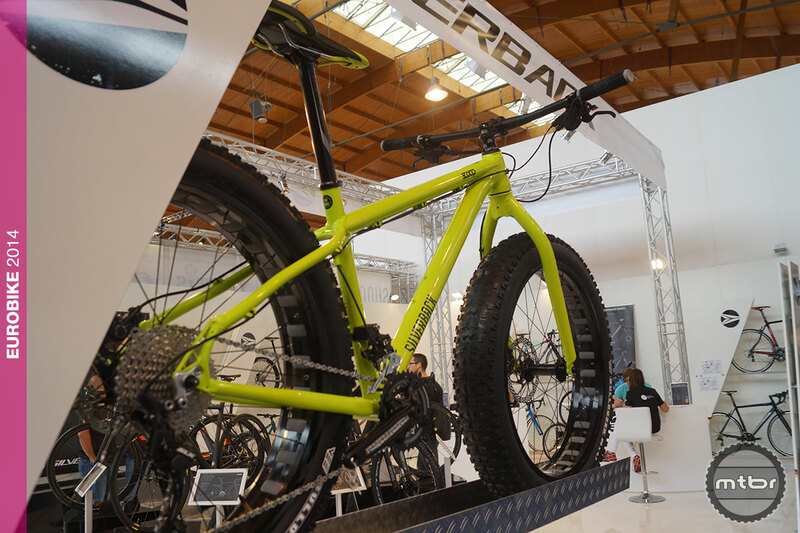 It was nice to see a fully-built version of the “farmer’s bike” here at Eurobike. 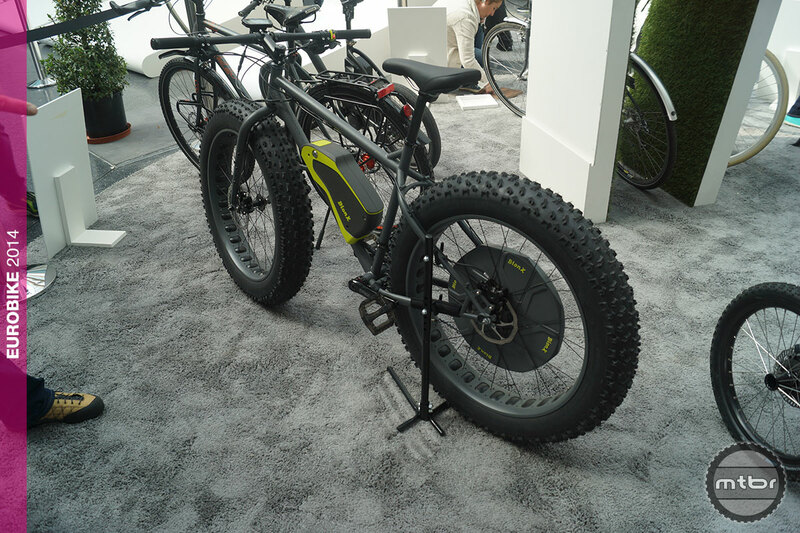 BionX’s electric assist motor installs on a standard fatbike, adding a power option to your fatbike. 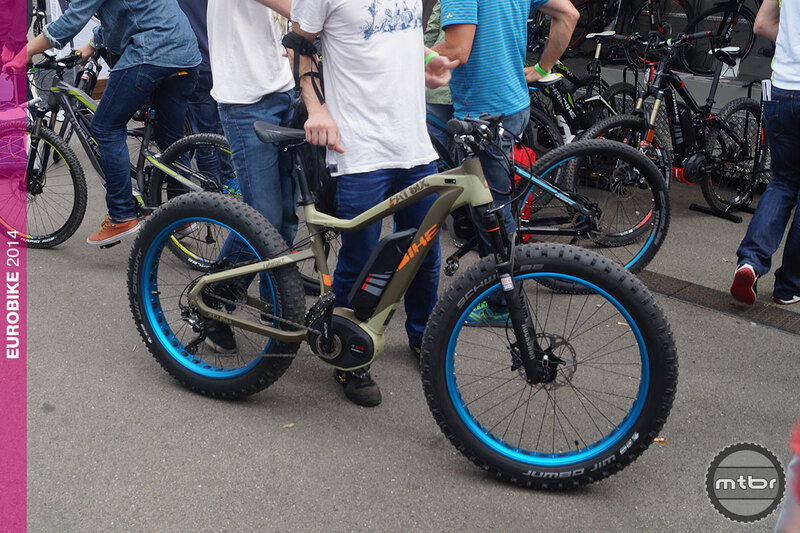 The first production dual-suspension fatbike is still one of the few, and Salsa’s Bucksaw proved quite popular during Demo Day. 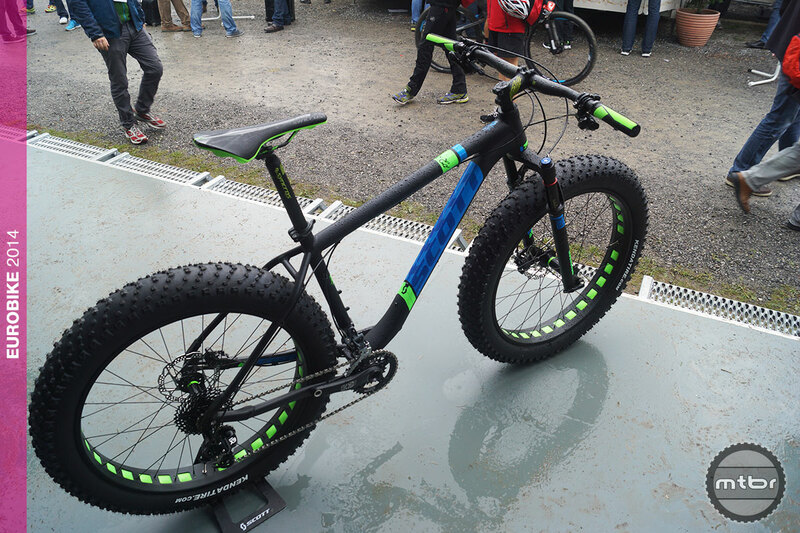 I’m shocked that electric bikes are getting any attention in the mountain biking press. Does this sort of bother anyone else? I think it’s great that people are exploring new ways to enjoy two-wheeled transportation. I seem to remember people saying the same things about mountain bikes 25 years ago. 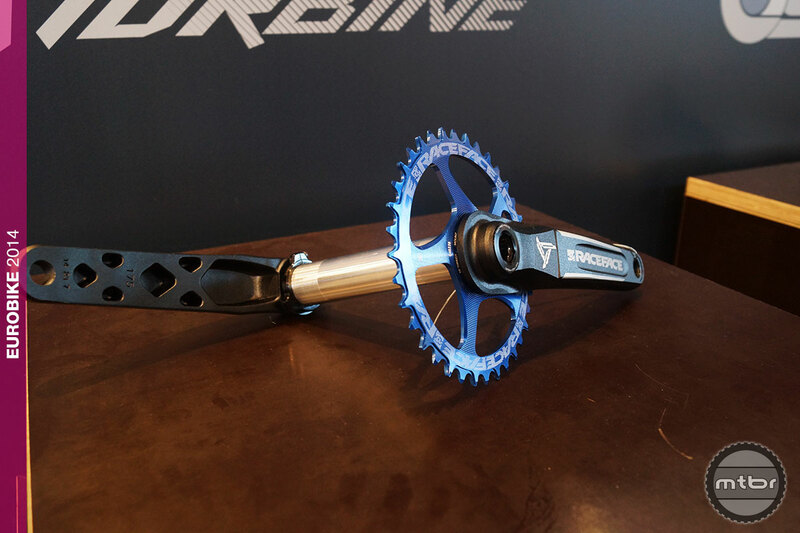 If an e-drive system makes it possible for a 70 year old to keep riding for a few more years, how can you not think that is totally awesome? Want die 29 en 650 koeien zijn al leeg. Rick, I think coverage of electric *mountain* bikes is heresy unless it’s to say that they don’t belong on trails. The battle to gain and keep the right to ride trails is not over and ebikes will only hurt the cause. If you want an electric city bike, fine, you are only cheating yourself of exercise. But don’t ruin trail access for others. And I will boycott any brand that sells electric MTB. Scott and Felt take note. I hope the market punishes you! @Erik, I agree. 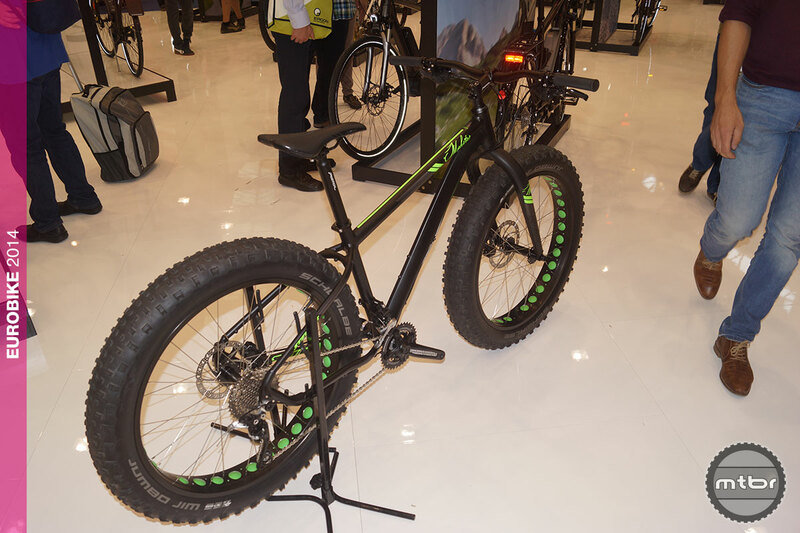 Make e-bikes all you want, but don’t even market them as trail bikes. In fact, I don’t even like them being called “e-bikes”. They have a MOTOR, they should be “lightweight MOTORbikes”, which are allowed offroad only on trails for MOTORized vehicles like motorcycles, ATV’s, 4×4’s, etc. Nevertheless, I get the point which you guys are making and agree with you where trail riding is concerned. 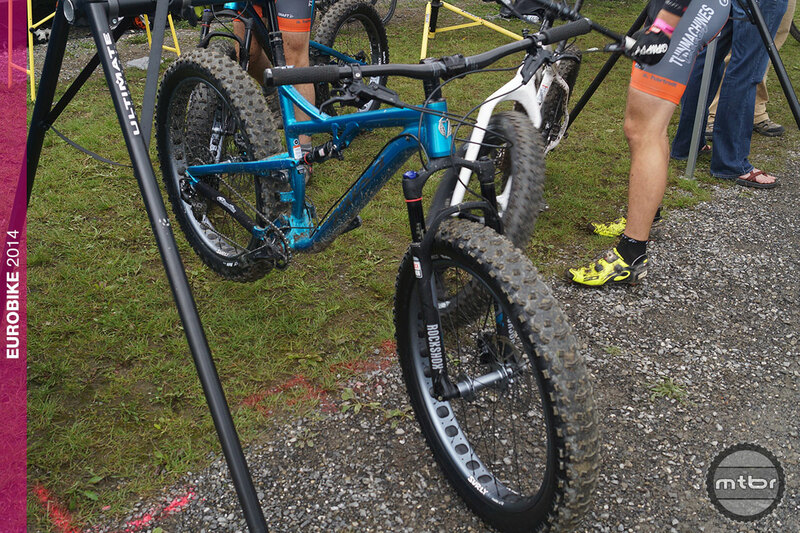 Now to get on my steed, ibis mojo HD. Where no e power will ever be needed! I understand how some of the young, healthy respondents have such negative about ebikes and those who might chose to use them. I am now 74 years old and my body is pretty banged up: one total knee replacement, Two back surgeries, one of which failed and left me with chronic pain. I can no longer run. It might mean a lot to me one day if an ebike allowed me to keep going for a few more years. Some of you nay sayers may change your attitudes when you get old and beat up–if you still ride when in your 60’s and 70’s. I think some of the concerns that you folks voice seem to me to be capable of easy solutions. Let’s be inclusive and not exclusive. If you want to keep trails open it may help to have the broadest user base possible. 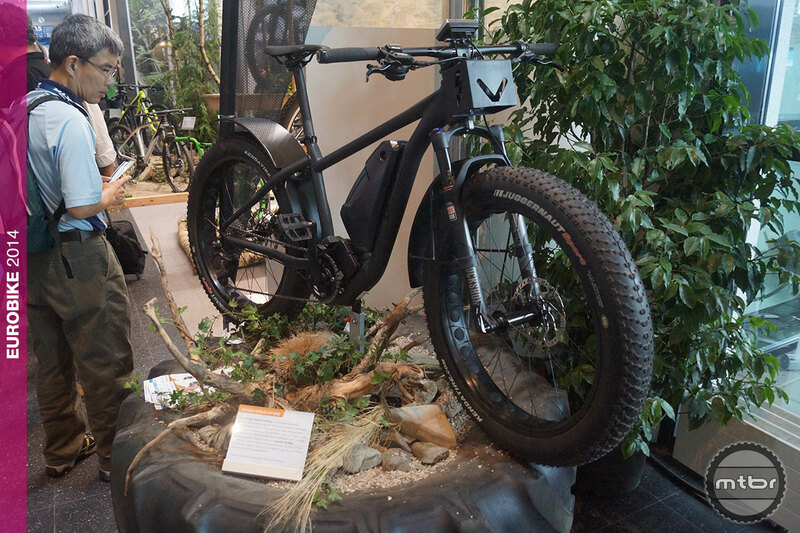 E-bikes on trails will be up to the land owners… E-bikes seem an outstanding option for commuters and other cyclists of various motivations…getting peeps on bikes and (almost) anything to remove more cars/trucks from the roads, easing dependence on fossil fuels should be viewed as a positive. If you object to the concept of e-bikes, your spandex is too tight.